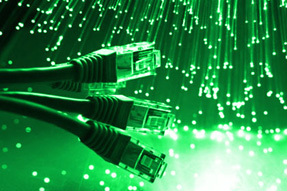 We offer a wide-range of business class Internet services. Please contact us to discuss your options and to check for service availability. Easy to integrate with current set up. Does your business require reliable high-speed internet T1 access with dedicated Internet connectivity? T1s provide rock solid access for both dedicated Internet as well as converged voice over data traffic in 1.5 Mbps increments. Moreover, your data strength cannot be shared or oversubscribed as in cases of cable or DSL. If you need more speed, “bonding” is the method of combining two or more T1 lines together to ultimately increase your T1 access. Using Multi-link Point-to-Point Protocol, we can achieve 3 to 12 Mbps of total bandwidth. If one of the component T1s should fail, the data is automatically routed over the remaining T1s. Additionally, Tri-Lakes Net provisions the bonded T1s on separate router cards to ensure data connectivity in case a router card should fail. Bonded T1 service balances data traffic across a single Ethernet port, so you don’t have to set up separate user groups for each T1. One Internet access point also means one firewall, which reduces administration. And bonded T1 service eliminates overtaxing of a single T1 when your second T1 has plenty of bandwidth. Metro Ethernet from Tri-Lakes Net is a cost-effective way to connect multiple locations together and meet your company’s growing bandwidth demands. Equipment costs are lower because you don’t need to buy expensive telecommunications hardware. Performance improves because your data stays in its native Ethernet broadband format from end-to-end without the overhead imposed by traditional telecom protocols. You can use familiar and easy to use LAN protocols to lower training time and management expense. Lastly, bandwidth scales easily so we can respond quickly to your changing needs. Fiber Optic Communications, Where Information is Power! We're all familiar with these old adages, and they've never been more true than they are today in our fast paced world where information is transferred around the globe at the speed of light. 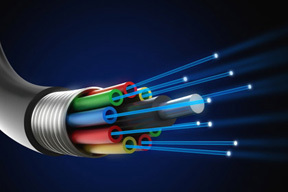 If your business depends on the transfer of data, voice, or video communications for success, Tri-Lakes Net has a service to assist you — fiber optics. 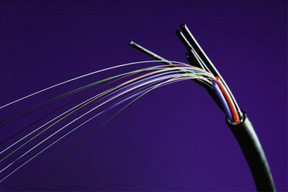 Fiber optics is a technology that transmits modulated (pulsed) light through hair-thin strands of glass. The light, invisible to the human eye, is in the infrared portion of the spectrum and well suited for the transfer of high volume and broadband communication. It is capable of sending 2,000 times more information per second than traditional copper wires on which businesses now rely. We can provide fiber connections to your location, or building-to-building if you just want to improve your internal network performance.